Brighouse Town’s match at Ossett Town in the Evo-Stik NPL was another almost inevitable casualty of this morning’s snow. 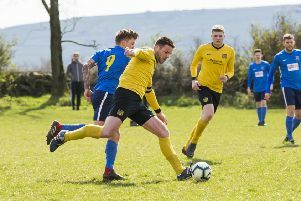 It completed a frustrating Easter for Vill Powell’s relegation battlers following the postponement of Saturday’s home game agfainst Clitheroe. Bottom club Goole won 3-1 at Kendal Town on Saturday to close the gap on next-to-bottom Brighouse to four points with one team to go down. Goole’s match at home to Ossett Albion was among today’s other widespread postponements. Town’s next fixture is at home to Glossop North End next Saturday.